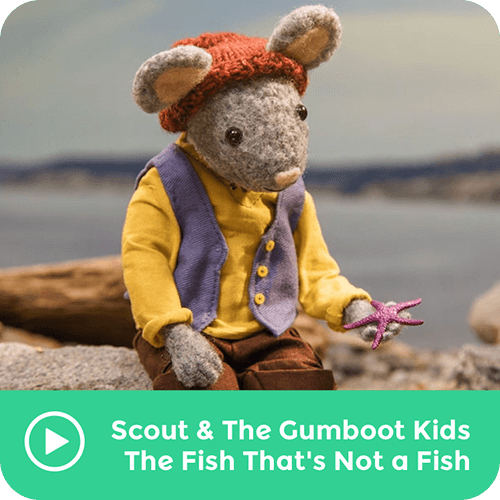 Scout asks you and The Gumboot Kids to find a fish that isn’t a fish. He give you three clues: ocean, tidal pool, star. After you've found the mysterious sea creature, take a Mindful Moment to observe and appreciate nature.